Toscana Cafe - San Diego Dining Dish! There are lots of great places to eat in San Diego. Believe me, I've created an entire website dedicated to enjoying and reviewing the offerings of the chefs of our fine city. 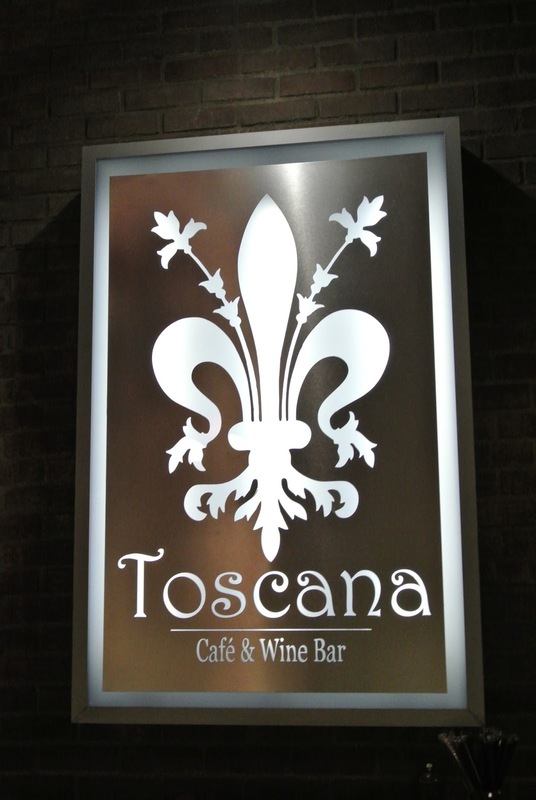 Joining the ranks of the recommended places for classic Italian cuisine is Toscana, located in the Gaslamp. Toscana is tucked into a corner, and the bright sign beckoned to us from a rainy Friday night. It was the perfect evening for some cozy Italian! We arrived at 6, but the restaurant was already picking up. I like the rustic decor, and the bar is a perfect setting for a casual drink at happy hour. The extensive (and good!) wine list would certainly please any wine aficionado, and the generous pours make the wine a good value. But we were not after happy hour, we wanted dinner! 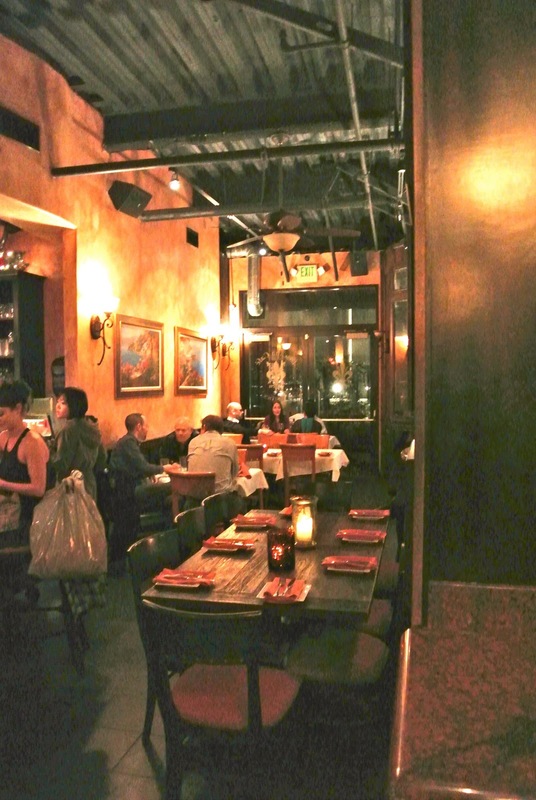 The menu has an extensive choice of Italian favorites, with yummy pastas, steaks, and seafood. We wanted to be good and get some vegetables, so salads were ordered. A house salad with the homemade balsamic vinegarette for my companion, and a delicious Caesar with homemade dressing for myself. The house salad was stupendous! The greens were simple and fresh, and accented by fresh tomatoes with tons of flavor. The dressing was slightly tangy with lots of black pepper for zing! Homemade bread and creamy butter made the salads extra enjoyable. The Caesar was a perfect archtype of the classic salad, with homemade cheesy croutons and creamy dressing. The romaine lettuce was nice and crunchy. This salad was just nice and comforting. For our main dishes, we decided to go classic. Made-to-order lasagna with Italian sausage and chicken Toscana, which was a pasta with grilled chicken, served with a vodka sauce. The lasagna was awesome! So many times, I've ordered lasagna out, and it has disappointed, being made days in advance and reheated. Yuck. This lasagna used a different approach, more like a sausage manicotti that was assembled then baked to order. The method worked well. This lasagna was delicious; covered in homemade red sauce and plenty of parmesean! The chicken Toscana was the ultimate comfort food. Creamy sauce and cheese, atop linguini noodles and bites of grilled chicken, what more could you want? This dish was incredibly decadent, yet somewhat light in its simplicity.